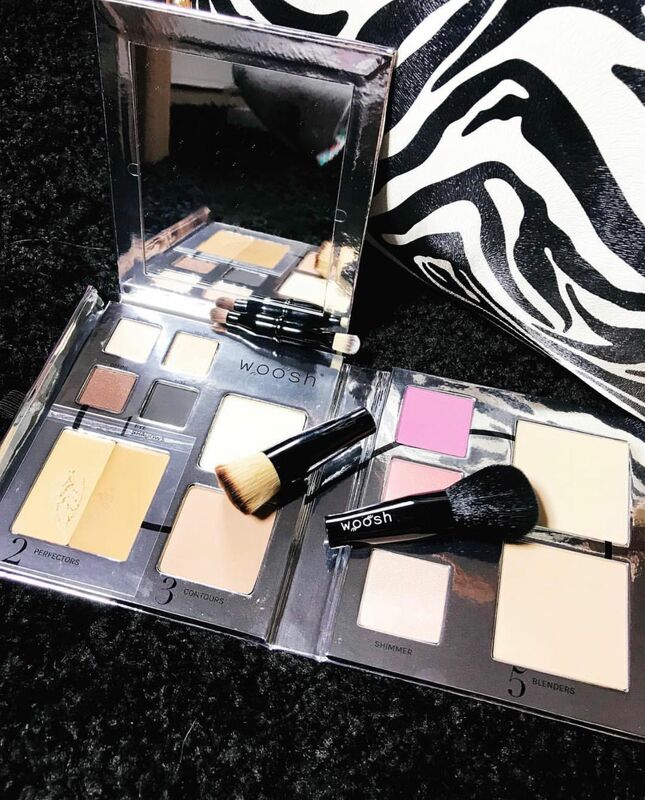 • 13 cosmetics in 1 portable palette; a full face in 1 place! • Complete complexion coverage for all skin types; no liquid foundation needed! • NO: Parabens, Sulfates, Gluten or Fragrance. Pick the palette number that’s right for you from #1 Light to #5 Deep (use our shade finder to help you decide) and follow the steps, beginning with eye shadows and ending with an optional shimmer. Along with our 4 all-occasion, wet/dry eye shadows, 2 concealers (for custom coverage), 2 contouring powders, 2 blushers, 2 blending powders (to customize your shade) and a finishing shimmer… all in the palm of your hand, we’ve included easy to follow instructions that even show which Essential dual-ended brush to use for every step along the way. Ingredients: Mica, Octyldodecyl Stearoyl Stearate, Zinc Stearate, Boron Nitride, Caprylyl Glycol, Isopentyldiol, Tocopherol, Nylon 12, Camellia Sinensis Leaf Extract, Caprylic/Capric Triglyceride, Retinyl Palmitate, Ascorbyl Palmitate, Phenoxyethanol, May Contain: Iron Oxides (CI 77491, CI 77492, CI 77499), Titanium Dioxide (CI 77891), Bismuth Oxychloride (CI 77163) , Ultramarines (CI 77007), Manganese Violet(CI 77742), Chromium Oxide Greens (CI 77288), Carmine (CI 75470), Zinc Oxide (CI 77947). Ingredients: Mica, Zinc Stearate, Octyldodecyl Stearoyl Stearate, Lauroyl Lysine, Tocopherol, Retinyl Palmitate, Camellia Sinensis Leaf Extract, Caprylic/Capric Triglyceride, Ascorbyl Palmitate, Caprylyl Glycol, Isopentyldiol, Phenoxyethanol, May contain: Titanium Dioxide (CI 77891), Carmine (CI 75470), Iron Oxides (CI 77491, CI 77492, CI 77499) , Red 30 Lake (CI 73360), Red 7 Lake (CI 15850), Red 6 Lake (CI 15850) , Red 27 Lake (CI 45410), Yellow 5 Lake (CI 19140), Ultramarines (CI 77007). Ingredients: Base and line ingredients: Mica, Octyldodecyl Stearoyl Stearate, Zinc Stearate, Boron Nitride, Lauroyl Lysine, Caprylyl Glycol, Tocopherol, Ascorbyl Palmitate, Retinyl Palmitate, Camellia Oleifera Leaf Extract, Caprylic/Capric Triglyceride, Silica, Isopentyldiol, Phenoxyethanol, May contain: Iron Oxides (CI 77491, CI 77492, CI 77499), Titanium Dioxide (CI 77891). Define ingredients: Mica, Octyldodecyl Stearoyl Stearate, Zinc Stearate, Calcium Sodium Borosilicate, Calcium Aluminum, Borosilicate, Boron Nitride, Silica, Lauroyl Lysine, Caprylyl Glycol, Isopentyldiol, Tocopherol, Ascorbyl Palmitate, Retinyl Palmitate, Camellia Oleifera Leaf Extract, Caprylic/Capric Triglyceride, Phenoxyethanol, Tin Oxide, May contain: Iron Oxides (CI 77491, CI 77492, CI 77499) , Titanium Dioxide (CI 77891), Carmine (CI 75470). Shine ingredients: Mica, Octyldodecyl Stearoyl Stearate, Zinc Stearate, Calcium Sodium Borosilicate, Calcium Aluminum, Borosilicate, Boron Nitride, Silica, Lauroyl Lysine, Caprylyl Glycol, Isopentyldiol, Tocopherol, Ascorbyl Palmitate, Retinyl Palmitate, Camellia Oleifera Leaf Extract, Caprylic/Capric Triglyceride, Phenoxyethanol, Tin Oxide, May contain: Iron Oxides (CI 77491) , Titanium Dioxide (CI 77891). Ingredients: Caprylic/Capric Triglyceride, Octyldodecanol, Euphorbia Cerifera (Candelilla) Wax, Copernicia Cerifera (Carnauba) Wax, Jojoba Esters, Polyethylene, Disteardimonium Hectorite, Propylene Carbonate, Retinyl Palmitate, Tocopheryl Acetate, Ascorbyl Palmitate, Zinc Oxide, Carthamus Tinctorius (Safflower) Seed Oil, Camellia Oleifera Leaf Extract, Phenoxyethanol, May contain: Titanium Dioxide (CI 77891), Iron Oxides (CI 77491, CI 77492, CI 77499). I love it since I had it I don't use other products for makeup the shades and colors are beautiful. Great to hear Lelys! Thanks for your feedback. 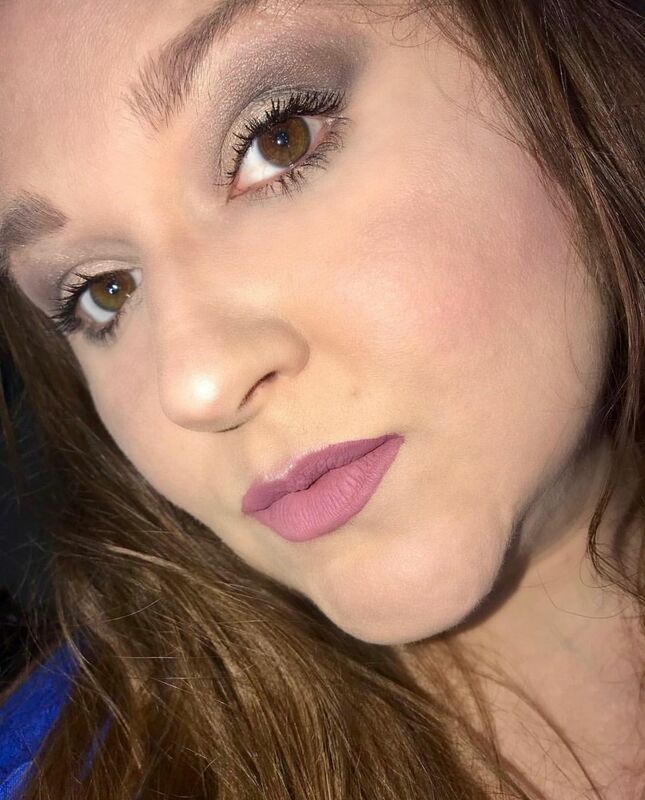 Woosh Beauty isn’t just a brand, it’s a lifestyle. Their ‘Fold Out Face’ palette is designed to make your makeup routine simple. “Life’s complicated, your beauty routine doesn’t have to be.” I was gifted this beautiful set with the secret brush set. I love the idea behind this because you can easily throw it into your handbag and take it with you. You can also just pull it out of your vanity and it’s all you need in front of you to create a beautiful look. The eyeshadows are so pigmented and soft. It blends really well when you’ve the right tools. I absolutely LOVE the blushes 😍 I needed blush and those tones are perfect for me. The eyeshadow brushes are hidden inside the foundation and blush brush! It’s pretty cool and I love that their soft. The coverage from the concealer formula is great! The contour powder was seamless and quite vibrant! Definitely just a dip will cut your contour how you like. 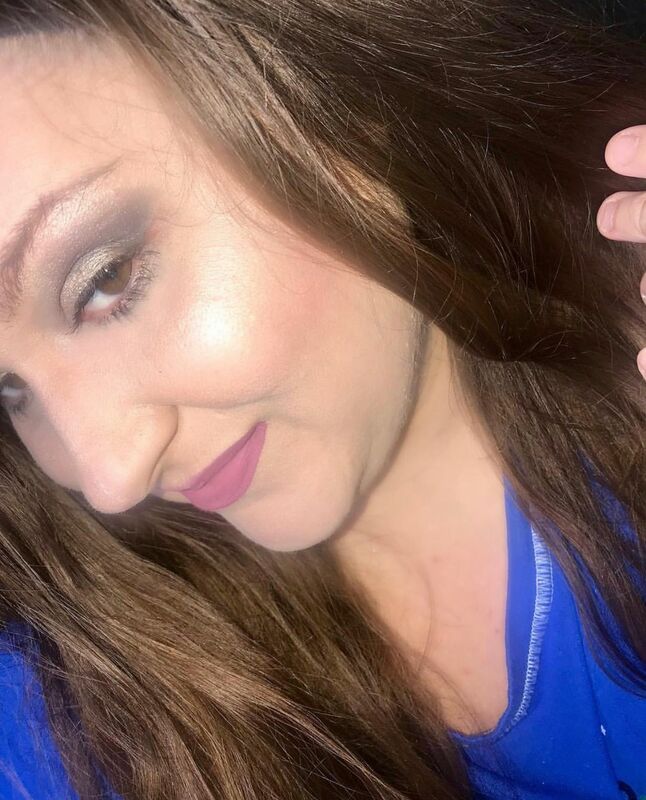 The highlight is STUNNING!!!! So creamy and pigmented!!!! This has been my go to since I’ve got it especially when I’m in a hurry. I am especially looking forward to this convenient makeup folder on trips. A lovely product. I love this makeup set. It is great for travel.